Whether you’re off to a beach, heading to a BBQ, or just stay-cationing, packing for #MDW can seem like a job in itself. It’s the first taste of summer (weather permitting) and, if you’re anything like me, you’ve been longing to where something (anything) other than your trusty, and probably a little dusty, groutfit. It’s finally time to show off all the cute new clothes you’ve been stockpiling in anticipation for a warm summer day. 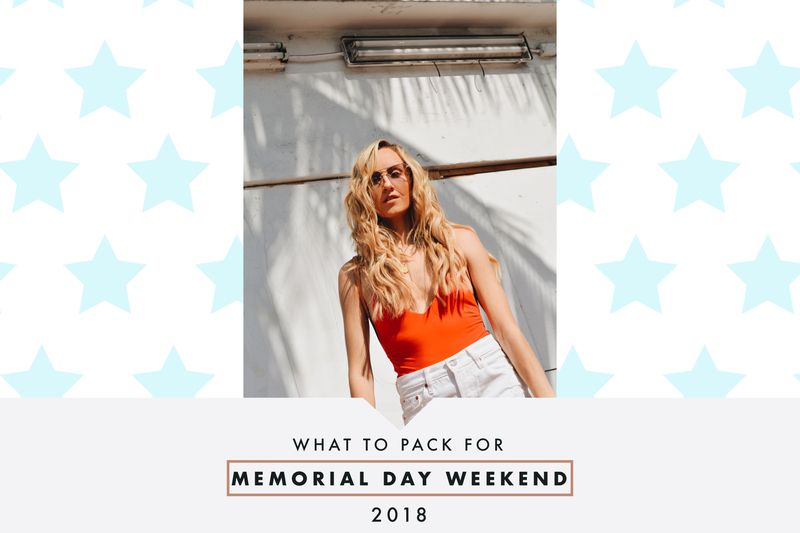 If you’re going away for Memorial Day Weekend, here’s my definitive guide on what to pack. What’s even better is that ShopBop is having a major sale right now! And, as if (1) the impending long weekend and (2) the Shopbop sale weren’t enough, if you have Amazon Prime you’ll be able to get your purchases by Friday… so order quickly! am surprised why this twist of fate did not took place in advance! Hiya, I’m really glad I’ve found this information. Nowadays bloggers publish only about gossip and net stuff and this is actually irritating. A good web site with interesting content, that is what I need. Thanks for making this web-site, and I will be visiting again. Do you do newsletters by email? Hiya, I’m really glad I’ve found this information. Nowadays bloggers publish only about gossip and internet stuff and this is really irritating. A good website with exciting content, that is what I need. Thank you for making this web-site, and I will be visiting again. Do you do newsletters by email? Hiya, I am really glad I’ve found this info. Today bloggers publish only about gossip and web stuff and this is really annoying. A good site with exciting content, that’s what I need. Thank you for making this website, and I will be visiting again. Do you do newsletters by email?